Victoria first started working for Michael Poole in June 2005 before leaving to be a full time Mum in June 2010. In the 5 years Victoria was with us, she worked in most of our offices giving her a superb knowledge of the local area. Now Mum to 3 boys, Victoria returned to the company in February 2018 after an 8 year break. 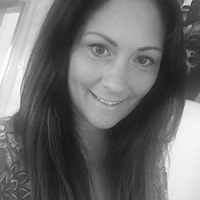 She has a wealth of customer service expertise and experience having worked in a number of industries including banking, financial services and Victoria also worked as cabin crew for British Midland. Victoria lives in Nunthorpe and is also a parent governor at Nunthorpe Primary Academy. This gives her an excellent understanding of the community and surrounding area. Always with a positive outlook, Victoria strives to provide excellent customer service. Away from work, Victoria loves spending time on the side of a pitch watching her boy’s play football.